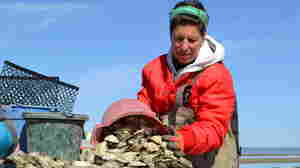 May 14, 2018  More women are joining their male peers among the ranks of oyster farmers. This could be because of growing marine science programs — and a desire to have a hands-on connection with the food system. June 10, 2017  The "off-bottom" production method, in which oysters are grown in hanging baskets tumbled by waves, is starting to flourish on the Gulf coast — and demand for these boutique bivalves is growing. July 31, 2016  The farm-to-table movement has caused the farming of oysters — nature's hardworking little water filters — on the East Coast to double in the past six years. 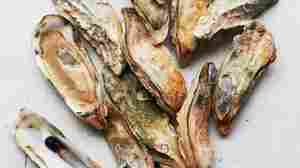 January 27, 2016  Oysters from the Pacific Northwest have long been the most coveted for their sweet, mild flavor. 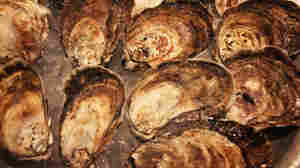 But they now have more competition from Southeast oysters cultivated from Virginia down to Florida. 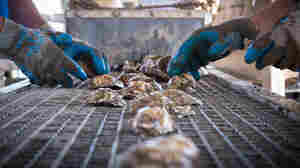 December 20, 2013  The Chesapeake Bay once supplied most of the nation's oysters, but overharvesting and disease nearly wiped them out. 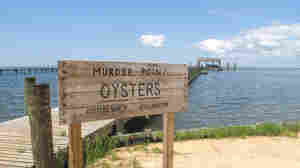 Now, major public-private efforts to re-establish the oyster as a quality local food product appear to be working. And chefs say the results are sweeter than oysters from other waters. 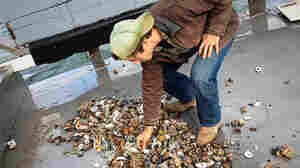 November 1, 2012  The Bloom family has been raising oysters for three generations now on 2,000 underwater acres of oysters in Long Island Sound. On Wednesday, two days after the storm, the Blooms were finally able to get out on the water to assess the damage, and they found a lot of it.